EMAIL US about group sales, private events, classes and more. Almost weekly we host Corporate Events, College Groups, Birthdays, and even K12 student groups (Improv 4 Kids / Improv 4 Teens) learning valuable life skills through Improv shows & workshops. FOLLOW / SUBSCRIBE this blog feed and our social media @EIGHTIMPROV for upcoming events, discount offers, funny videos and more from our shows and classes. Adding Shows Morning, Afternoons and Evening – We host corporate events – team building and office/holiday parties, college/university groups, and K-12 educational outreach and family events (AKA Improv 4 Kids / Improv 4 Teens). For larger groups (are at a premium for smaller groups) we can add private shows to the calendar. We also add public shows daily to smaller accommodate smaller groups. We have a vast client list of international and local companies that utilize our service – using Improv to teach team building, management, service and sales. NOW we have a growing program of classes and workshops available to the public that deliver these same skills. Improv is a ton of fun and delivers on a variety of skill sets and personal enrichment usable in almost EVERY field. While playing a series of fun games – telling stories, performing comedic scenes and just being outright silly at time – we tap into a deeper understanding of ourselves and others. We learn to truly LISTEN to ourselves and others. We start to communicate better – one on one and public presentation. We over come stage freight and social anxiety. We learn to unlock our creativity and critical thinking skills. Perhaps MOST IMPORTANT is the laughter itself. Since 2008 we have researched 100s of studies to help justify our existence to corporations and skills as a valuable resource beyond entertainment value. It just may be our most valuable gift to you are the laughs. Laughter it self breaks down walls. Laughter also promotes heart health, increasing cardiovascular activity while reducing stress and blood pressure. Laughter in the classroom increases test scores. Basically – it is near IMPOSSIBLE to feel anger and fear while laughing. The more you laugh the less regret, insecurity or ego can hold you back. We all need to chill out. Improv does this while delivering amazingly positive side effect. Why wait till your an adult to discover how to better communicate and love life to its fullest? We offer weekly classes Winter, Spring and Fall, plus Summer Camps. We also have teachers at schools, camps and community centers on weekends and after school. Each session starts with Improvisation, playing games that are a ton of fun while teaching valuable life skills. These are the same games we play with corporate groups to develop better leaders, team building, sales, service etc. For our public sessions we include Stand-Up Comedy, taking stories of experience and observation, then crafting original comedy routines. Each session ends a performance showcase of original and improvised comedy skits. The classes and workshops integrate perfectly with cultural arts, language arts and character building/guidance programming. – EMAIL US about group sales, private events, classes/workshops, catering options and more. Clients include teams from JP Morgan Chase, IBM, HSBC, BAML, Morgan Stanley, Master Card, American Express, NYC Schools (DOE VENDOR – educational K12 outreach and professional development for staff), NYC Dept of Health, Microsoft/BING, Twitter, Louis Vuitton, Coach, Home Depot, Enrst & Young, GM, KRAFT, UBS, UNILEAVER, Sandvik Publishing (Dr Seuss) and 100s more local firms. In addition to providing fun moments out of the office (or in your conference rooms on campus) via shows and workshops, we teach you how to bring these games into your every day space – starting meetings with a quick game, engaging YES AND… into your interactions with co-workers, bosses, employees and/or clients. Laughter/Joy/Smiles combined with powerful training communication skills and self confidence creates better managers, sales and service, while making the work place more enjoyable for all. Our public Improv shows are all ages friendly. Laurice Fattal is the heart and soul behind New York Improv Theater. She started us on this path in 2002 when she joined the cast of Bob Monaco’s Comedy Show. While that troupe did not survive the year, the idea was formed for EIGHT IS NEVER ENOUGH Comedy. In the past 20+ years Laurice has appeared on many New York stages and a few, TV shows but has always found Improv her artistic home. In recent years Laurice has developed a following in New Media with growing success vlogging about pop culture and more. When not on stage, Laurice drives this project from behind the scenes developing marketing and other strategies. Walt Frasier has been with EIGHT IS NEVER ENOUGH Improv Comedy since the beginning in 2002. In that time he has hosted over 5000 shows and workshops in Times Square and touring Nationwide. Now considered a specialist in corporate team building, Walter embraces Psychological Safety and tries to teach the world to smile. At every workshop, Walter gives his students homework “Now that you have taken my classes, you are now comics. It is your job to make the rest of the world smile. Don’t wait for the world to make you happy first. Wake every morning and force yourself to smile and see how your world changes.” He has run workshops for JP Morgan Chase, IBM, Morgan Stanley, Master Card, American Express, NYC Schools (DOE VENDOR), Microsoft/BING, Twitter, Louis Vuitton, Coach, Home Depot, Enrst & Young, GM, KRAFT, UBS, UNILEAVER and 100s more smaller/local firms as well as training corporate trainers. Other credits include TV (2019- Billions 4.10, Letterman, Friends of the People, GMA, Royal Pains, Blue Bloods, Lilyhammer, WE, MTV, NICK and more) Musical Theater (Off-Broadway, International Touring, Regional), Opera and can often be found entertaining as Santa, The Blues Brothers or as Piano Singer. Born and raised in San Juan, Puerto Rico, Ivana Méndez has been acting since she was negative 12 months old. Credits: Off-Broadway- Everything No One Should Know, Press Play. Film/TV: Start-Up (SONY Crackle), Wrecked (TBS), etc. Puerto Rico: High School Musical, Diary of Anne Frank, El Condominio, and other spanish titled plays. Proud member of SAG-AFTRA. Pace University BFA. She would like to thank her family, friends, and El Pollo Mendez. 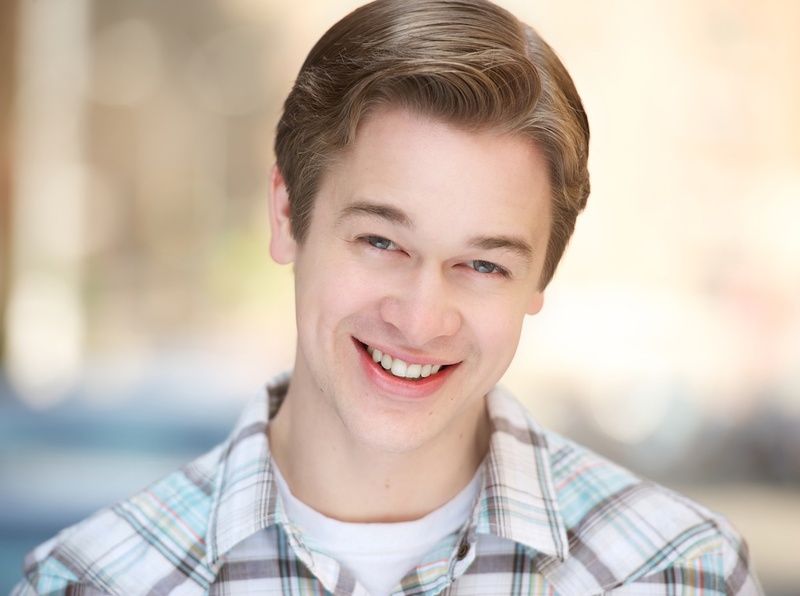 Isaac Beauchamp is an actor and improviser from Indianapolis, Indiana. He has been living in New York since 2017 and has been a member of Eight is Never Enough since 2018. He has definitely been in shows, and he has definitely enjoyed being in them. He’s in a few frames of the intro to Saturday Night Live, where he plays a waiter in the restaurant he actually works at. Isaac has also shined as a guy who fires a gun in an episode of NBC’s The Blacklist. He has also played King Lear! Watch out as this sure-fire performer skyrockets to the epitome of fame and notoriety in the near future! He wrote this! Ryan Hudzik would like to believe that you are laughing with him, not at him. He has been with Eight is Never Enough for about a year, and has loved every minute of it. He is a senior at NYU Tisch studying Musical Theatre and Spanish. Favorite NYC credits include the world premier of Iron John (Ron/Cat) in collaboration with the NYU Graduate Musical Theatre Writing Department, and the world premier of A Cabaret for Dark Times (Klaus Nomi) at the NYU Tisch. Ryan hopes to see you soon at the club soon! 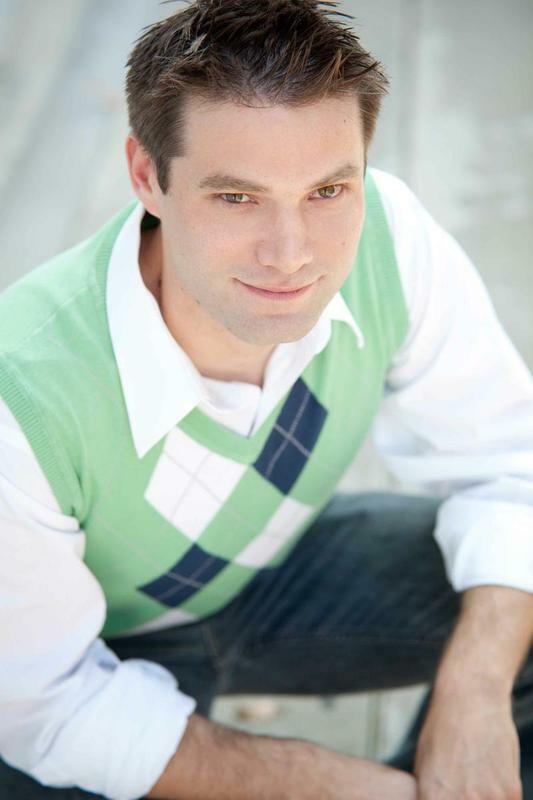 Originally from North Smithfield, RI, Gian has been performing since an early age and has fostered a successful career as a professional actor in NYC. Gian has been a part of Eight is Never Enough since May 2018, but has been doing improv comedy since 2011, including a performance with Brad Sherwood and Colin Mochrie from TV’s Whose Line is it Anyway?. Cruises/Nat’l Tours: Jersey Boys, PAW Patrol Live!, Turn it Up!. Regional Credits: Buddy, the Buddy Holly Story, Smokey Joe’s Café, Forever Plaid, Shrek the Musical. BFA Theatre & Performance from Emerson College. www.gianraffaeledicostanzo.com. @gi_raffaele.